Food fads come and go. But one that is not going away anytime soon is the bubble tea craze. In fact, new bubble tea flavours and variations have surfaced in the market, such as freshly brewed tea filled with chunks of fruit or toppings that are not the run-of-the-mill tapioca pearls. A wider range of tea flavours is also available. 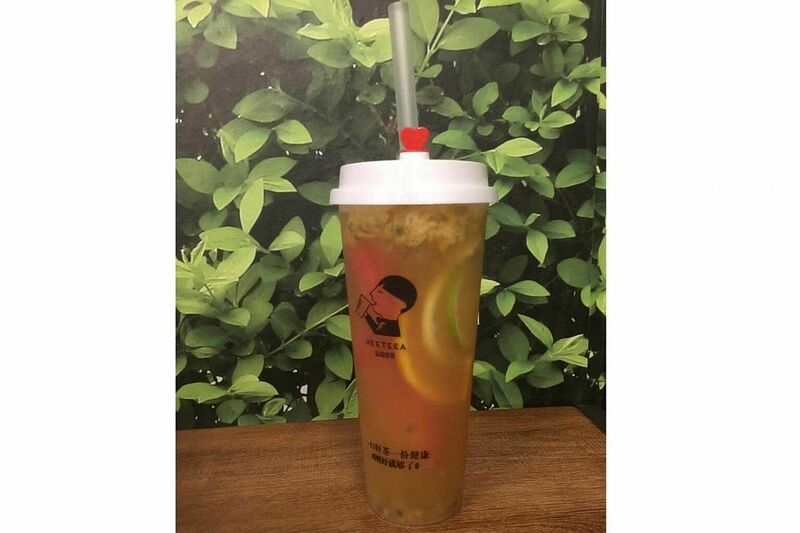 Some bubble teas even come with a fork for customers to pick at the chunks of fruit in the drink, such as watermelon cubes, passionfruit pulp and slices of lemon and lime. The teas are sold at places such as Partea at Suntec City; Heetea at SingPost Centre; U-Cha at 313@Somerset and nex; R&B Tea at Marina Square; Teafolia at Tampines MRT station and Bedok Mall; and Mr Tan at United Square - all of which opened in the past three months. At the five-week-old PlayMade by One Zo at Tampines One - a franchise of the popular One Zo brand in Taiwan - not only are there pieces of fruit in the drink, but customers can also watch the pearls being made on site. Special pearl flavours include black sesame, pink cactus, burnt caramel and matcha. Established brands are also moving towards using fresh ingredients to draw in health-conscious consumers. Bubble tea chains Each A Cup, Koi and LiHO are working with the Health Promotion Board (HPB) to provide healthier choices. 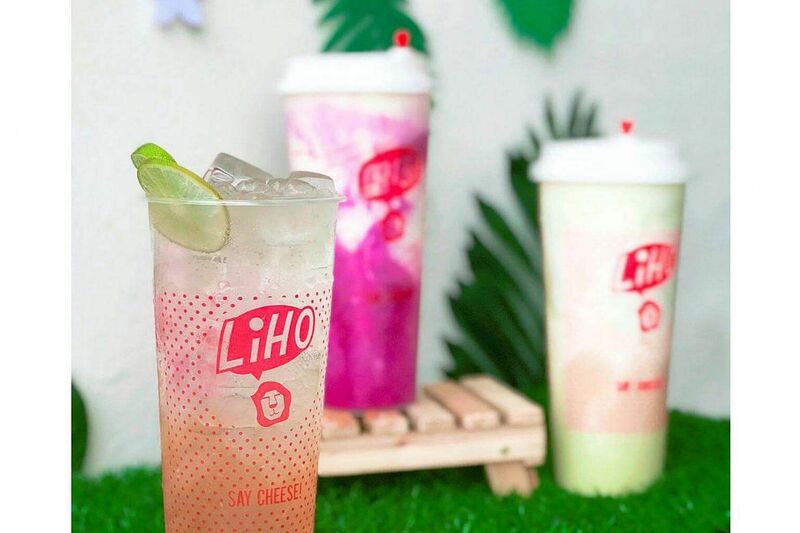 LiHO's outlets offer freshly squeezed lemon beverages, as well as avocado and dragonfruit smoothies and bubble teas. From Nov 14, which is World Diabetes Day, it will offer the option of sugar substitute stevia leaf extract in place of cane sugar. Another brand, Yuan Cha, offers a range of fruit vinegar teas, a trend popular in Taiwan, South Korea and Japan, says its founder Goh Chee Cheng, 47. The chain has outlets at Bukit Panjang Plaza, Far East Plaza and Jurong Point. In the pipeline to open by next month are new brand Oh Cha Cha at Northpoint Shopping Centre and the highly-anticipated return of Gong Cha at SingPost Centre. Bubble tea fan Natasha Ong, 28, a human resource executive, says: "I drink bubble tea at least once a week. These fruit teas are more guilt-free and are like getting a cup of fruit as well. They're not cheap, but a Starbucks drink does cost about the same price." Tutor Derrick Tan, 27, is drawn to the special pearls from PlayMade by One Zo. He says: "My favourite is the black sesame." What: Foodcourt operator Koufu has brought in its first tea brand in a joint venture with R&B Tea from Taiwan. 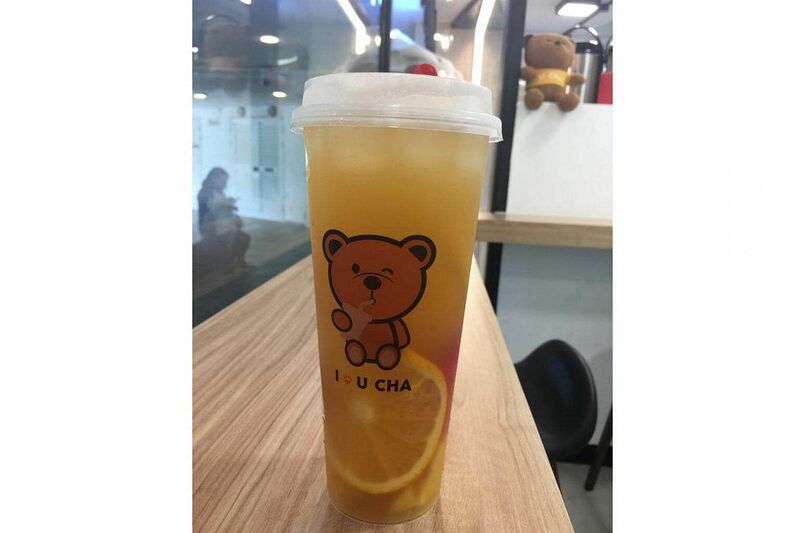 Highlights at the two-month-old outlet include Mighty Luffy ($6.80), Hawaiian fruit tea with fruit chunks; Devil's Booster ($4.20) of peach tea, pineapple and orange; as well as roasted oolong with tea cream ($4.50). Its next outlet - a standalone kiosk at Block 470 Toa Payoh Lorong 6 - opens on Nov 21. On its first three days, it will be giving away 200 free cups of either milk tea with golden pearls or No. 23 oolong tea. 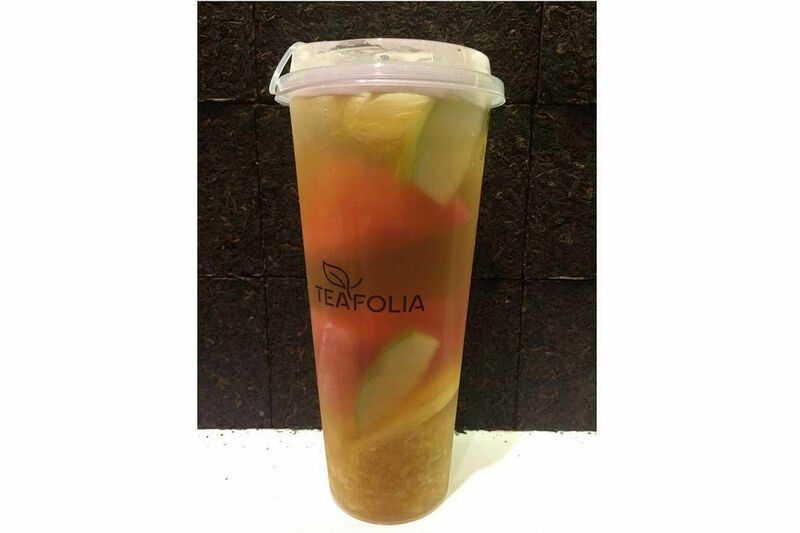 What: Fruit tea is Teafolia's focus. It offers options such as its signature fruit tea ($5.90) with sliced green apple, watermelon, lemon, lime and pineapple pulp; Kiwi Karate ($5.80) with mashed kiwi fruit; and Grapefruit Gravity ($5.50) with sliced grapefruit and grapefruit bits. The menu also features a "Stirring Milk" range of beverages, as well as smoothies. Super Four Seasons Fruit Tea ($6). What: Tucked in the corner of the new SingPost Centre's food-centric basement, HeeTea from China features a selection of cheese tea and fruit tea. Pick from Super Four Seasons Fruit Tea ($6), with passionfruit pulp, watermelon, strawberries, and slices of orange, lemon and lime; pomelo tea ($4.50); and pineapple fruit tea. What: You cannot miss U-Cha, with its gigantic bear mascot fronting the stores. 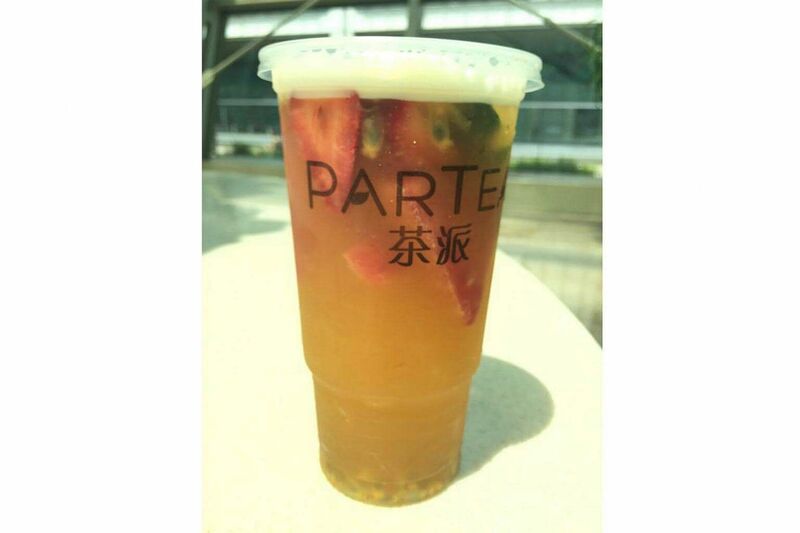 To order, first choose a base of cheese tea ($4.20), fruit tea ($4.50), pure tea ($3.20) or fresh milk tea ($4.20). Next, pick the type of tea, from Earl Grey to lychee black and rose oolong. The fruit in tea options include watermelon chunks and orange slices. What: Famous Taiwanese bubble tea brand One Zo is now in Singapore under the name PlayMade by One Zo. The name is a twist on the Chinese characters of the brand, which refer to the art of making its unique pearls. A special blend of flours from Taiwan is churned with pink cactus juice, caramel or ground sesame seeds. It is then kneaded by hand and put through a special machine to create the pearls. Matcha pearl, which is launched today, is available only this month. A drink with the pearls costs an extra 80 cents for a medium cup and $1.20 for a large cup. Some unique drink options include pink cactus smoothie ($4.60 or $5.90), cocoa latte ($4.20 or $5.70) and orange pulp green tea ($4.60 or $6.20) - part of its fresh fruit series. What: Mr Tan, located outside United Square mall near the Starbucks Reserve cafe, offers Royal Fruit Tea ($3.90), orange fruit tea ($3.90) and peach guava tea ($3.90), as well as fruit soda and milk tea with cheese milk foam topping. What: Have a tea Partea at this six-week-old tea store, which specialises in fruit and cheese teas. The Rainbow Tea series includes jasmine green tea ($6.50) with fruit such as watermelon, strawberry, mango, passionfruit pulp, and lime. The Sunrise Tea range includes green tea or sijichun tea with orange ($5.30) and gaoshan oolong tea with pineapple ($5.20, $6.40 with cheese). It also offers fresh milk tea, cold-brew Chinese tea and tea beancurd. What: Besides its initial signature cheese tea options, the home-grown brand has amped up its offerings with fresh fruit drinks too. It started offering lemon juice beverages and tea (from $2.90) in May and its avocado series was launched in September. Two weeks ago, it rolled out dragonfruit-based options - dragonfruit green tea ($4.20 or $5.20) and cheese dragonfruit smoothie ($6.90) made with fresh dragonfruit and fresh milk and topped with its signature cheese topping. Two teahouses in Taiwan lay claim to being the inventors of bubble tea. One of them is Chun Shui Tang Cultural Tea House, whose owner claims to have invented the beverage in the early 1980s. After seeing coffee being served cold in Japan, he was inspired to do the same for Chinese tea. The company's product manager was said to have added the "pearls" when she poured fen yuan (tapioca balls) into her tea. The other is Hanlin teahouse in Tainan, Taiwan. In 1986, its owner was inspired to make tea with white tapioca balls, which resemble pearls. Bubble tea came to Singapore in 1992 with Bubble Tea Garden in Marina Square. At the time, the drink was served in fancy cocktail glasses. 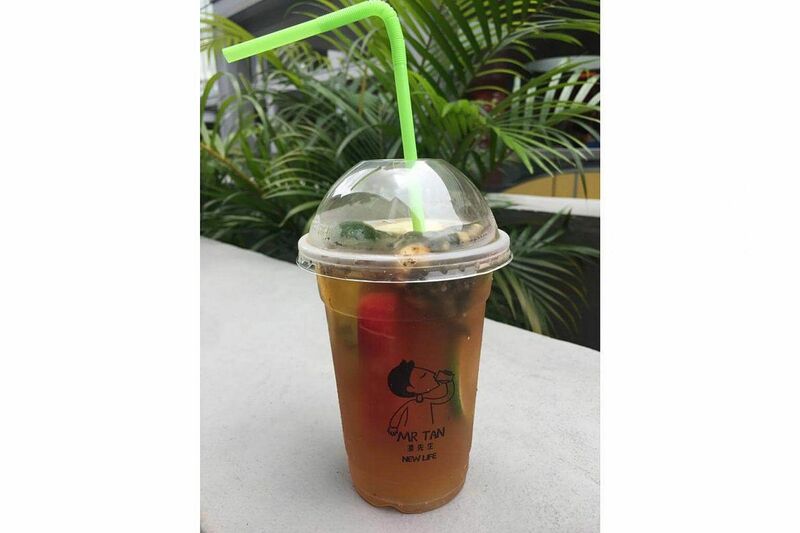 The bubble tea phenomenon hit fever pitch in 2001, when popular brands such as Quickly and Cool Station entered the market, along with a slew of small shops in housing estates serving the drink. Competition was extremely stiff and many shops folded after a few years. A new wave of bubble tea boasting quality tea and toppings arrived with major players such as the Koi chain in 2007 and Gong Cha in 2009. Gong Cha exited the scene in early June and its outlets were converted to the current LiHO brand by its former franchisee. Now, with people becoming more health-conscious, new brands have joined the scene, boasting fruit teas and fresh ingredients.